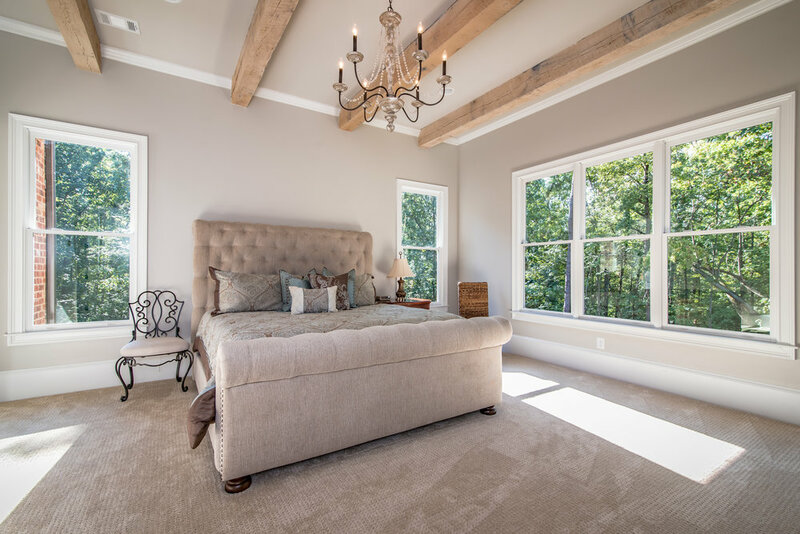 Blending the aesthetic of mountain homes found in Highlands and Cashiers with a dash of resort-style beach homes and cottages, Hickory Lakeside will offer a distinctly understated elegance that is unparalleled on Lake Lanier. Constructed with real, natural materials, our homes will mirror the beauty of the natural environment with a thoughtful aesthetic. 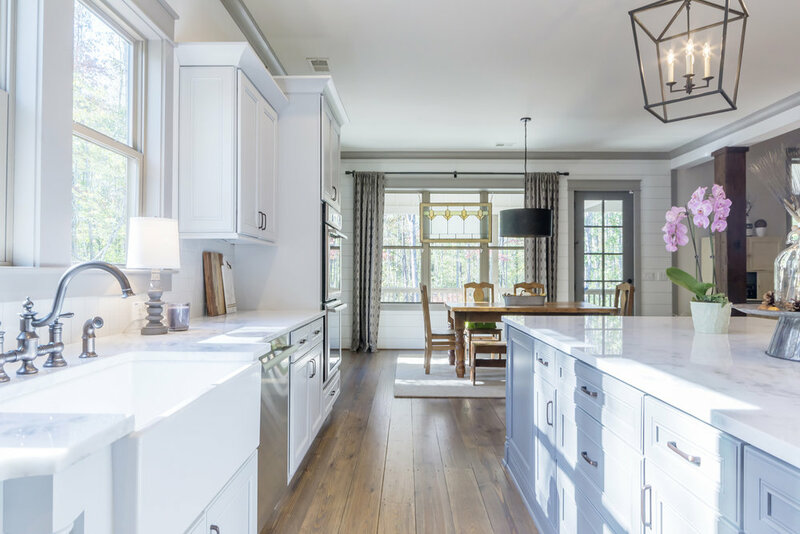 Open floor plans unite the kitchen, dining and living rooms to accommodate both casual family living and entertaining. Large windows throughout will showcase lake and forest views. Outdoor rooms with fireplaces, entertainment centers, swinging beds, outdoor kitchens and bars will expand the living area beyond the interior of the home. 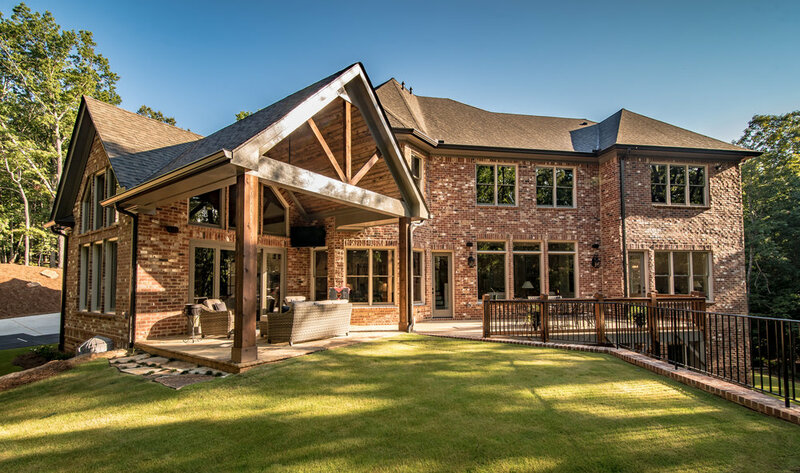 Deep porches and stone patios will help to accentuate the architecture and connect our homes to their site. Stone, timber trusses, lap siding, cedar shake siding & roofs with metal roofing accents, copper gutters and round downspouts, natural colors, both light and dark, will all work together to reflect the ever-changing landscape. Exclusive yet approachable, Hickory Lakeside will bring a new level of design and sophistication to Lake Lanier to foster outdoor leisure, enjoyment and relaxation for ideal lake living. Taking advantage of the natural surroundings and vistas, home sites will be offered in three types of settings: Cottage Lots, Forest View Lots, and Lake View Lots.